Recently released data on the tar sands industry reveals that things have returned to normal. Unfortunately for Albertans, “normal” is a royalty regime that ensures the vast majority of wealth goes to the private oil companies rather than the public, the owners of the bitumen. The diverging fortunes of the province and the oilpatch are clearly evident from the contrast between the government’s ongoing revenue crisis, which has resulted in a $3 billion deficit, and the growing profits being reported by the oil industry. Suncor, Canada’s largest oil and gas company, reported yearly profits of $4.3 billion, while Imperial Oil, which is 70% owned by U.S.-based ExxonMobil, made profits last fiscal year of $3.37 billion, the second largest in its record. 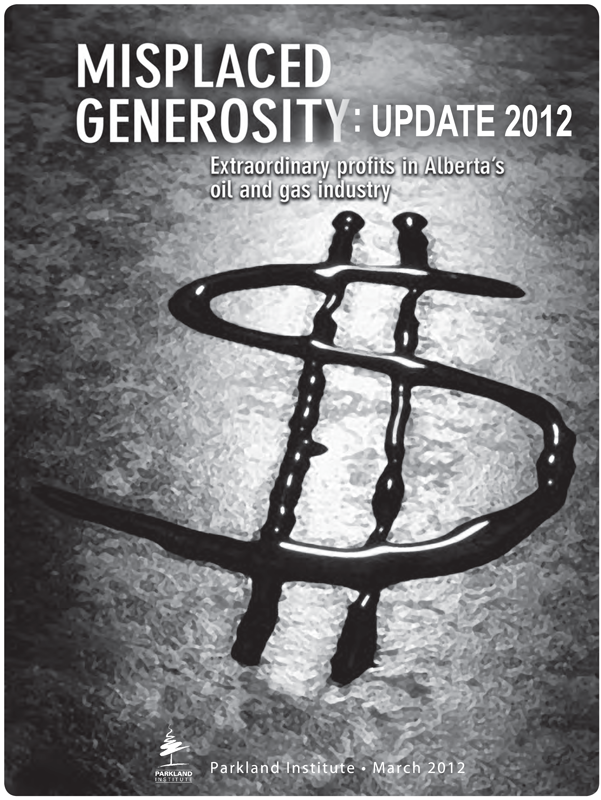 extent to which Alberta’s royalty framework is forsaking much-needed public revenues.